This is not like any other security camera, it is completely distinguishable to what it offers, it is fully wireless, being wireless will enable you to move this camera anywhere without wasting your time of constantly having to re-install wire-less and even make permanent changes to the environment of your property such as drilling holes in the wall, with this device none of that is required. This device has the ability to recharge the batteries through a Micro USB outlet, you don’t have use external batteries constantly, you are no longer required to spend money to keep a device powered on. The battery itself is efficient, especially when the device is in use. The PIR sensor is smart at detecting any given motion at a specific time, the PIR sensor detects any motion in specified range, it automatically sends you alarm notifications to warn for potential intrusion or any activity at your property. You can even exhibit alarm sounds to scare off the intruder, therefore allowing you to have fully time protection no matter where you are located. This camera gives you the access to speak through it using two ways audio, the wireless communication is purely extraordinary, this device will surely give the ‘inviting’ message to the intruder, telling him t leave your property will surely give him an unexpected surprise thanks to this built-in feature. You will be able to Live stream and watch over your property using your mobile phone no matter whether it is Android or iOS port, using wireless connectivity you can watch Live anywhere especially if your overseas, distance is no longer a problem that prevents you from providing surveillance over our house. The device was designed to withstand environmental conditions during day and night, it can withstand rainfall from impacting the internal hardware of the device, the outdoor conditions can no longer prevent you from providing security over your household. 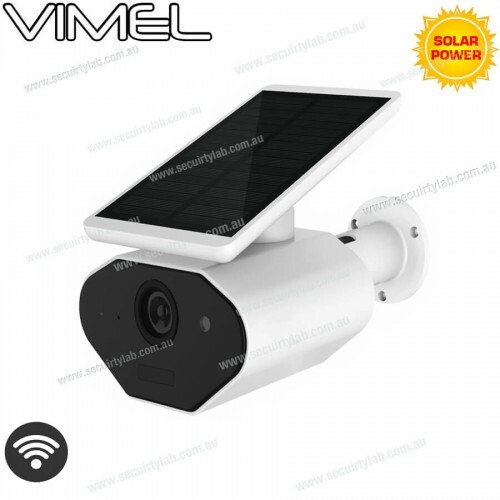 The device has the ability to be mounted at any location of your property no matter the time of day, the camera can be adjusted to a suitable position where the sunlight can perfectly hit the solar panel for maximum charge. Standby time: up to 6 months based on 10 events per day.